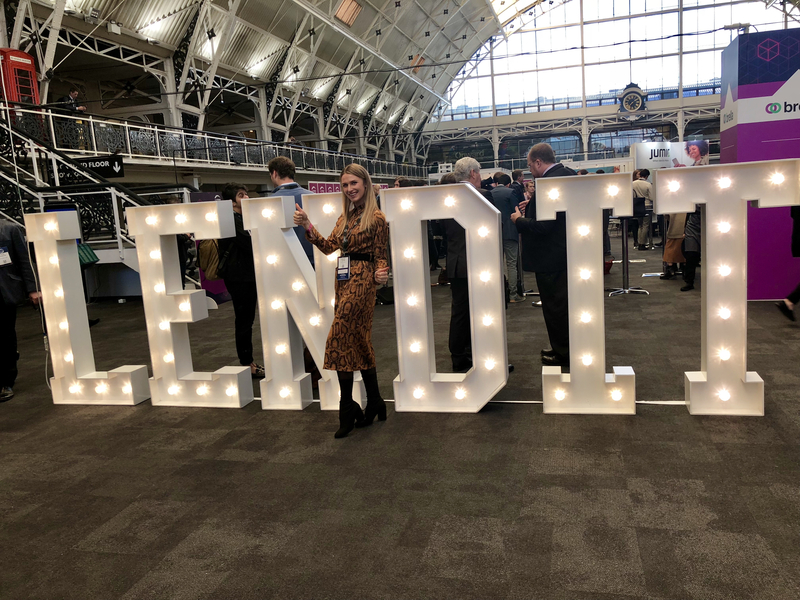 Every year LendIt organizes one of the biggest events for innovation in financial services and lending. This year the event took place on the 19-20th of November in London. There were more than 1000 participants and over 150 speakers from 50 countries, including our own Martins Liberts. This year’s agenda was based on new developments in marketplace lending, credit & underwriting, financial inclusion, digital banking and the adoption of blockchain solutions in finance. This time, the event got quite a lot of fresh perspective as the speakers were comprised of 40% first-time speakers, 35% women, 30% commercial banks & investors and 50% lending & fintech thought-leaders. As almost half of the participants were from fintech industry, it is obvious that innovative fintech companies get stronger year by year and take a bigger market share in finance. The chart below shows share of attendees from five financial industries, Debitum Network representing Fintech. 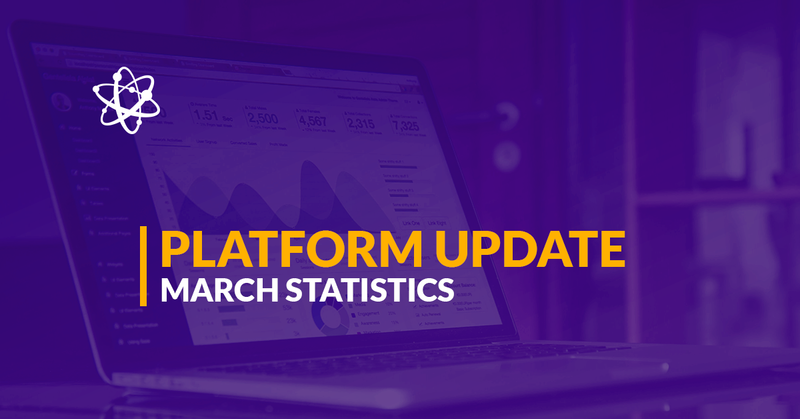 It proves the fact that interest in alternative lending is rising and platforms such as our own Debitum Network or Mintos, Twino, Funding Circle or Zopa will gain more and more traction in the future. The biggest industry – Fintech had also the biggest number of subsectors with a total number of 10 dominated by business lending, digital banking, and consumer lending. Debitum Network is part of Fintech specializing in providing short term loans for SMEs (Business Lending) around the world, thus among major players in the world of finance. The banking sector was led by representatives from investment banking and commercial, regional banks – our main interest was to meet with institutional investors or private funds as they are investing in various assets available on platforms like Debitum Network. Our team members met quite a few members of bank associates and chatted about specifics of our loans, lending terms, interest rates, duration etc. Investing sector was also quite varied this year, steered by Private Equity and Venture Cap funds. 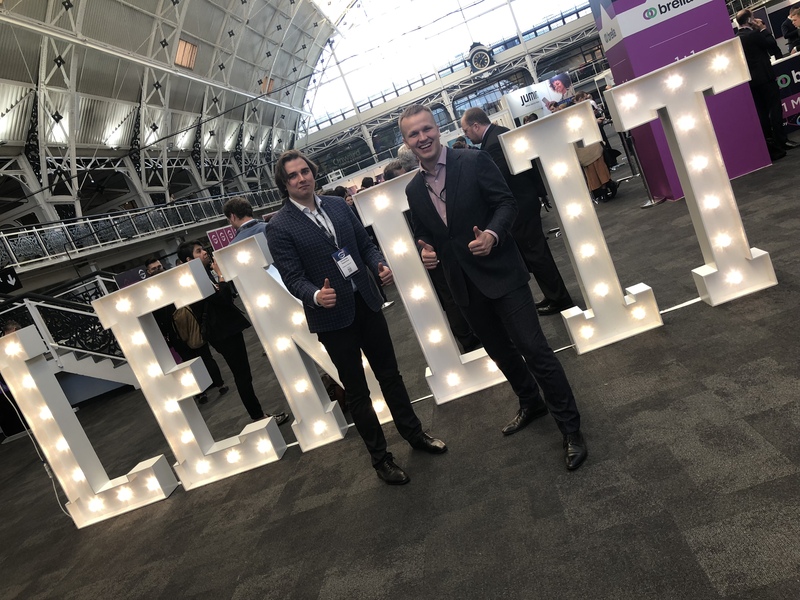 Debitum Network team was there to discuss possibilities for private and institutional investors to diversify their portfolios and invest in short term loans for small businesses. A few of them expressed interest in our business model and intention to start investing in loans right after the conference. 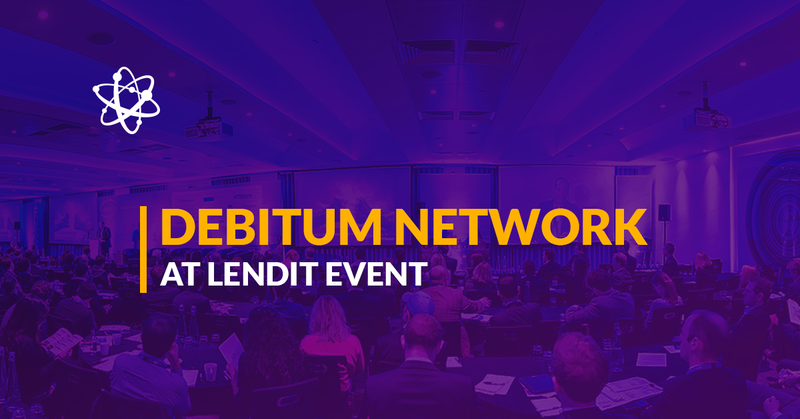 This year, Debitum Network was a Gold sponsor of the event. On the 18th of November, 8 members of our team went there to participate, have business meetings, demonstrate to hundreds of other participants how our platform works and share more about the company. Martins Liberts, the co-founder of the company gave a demo demonstration of the platform on his real account to the attendees, he also participated in a panel discussion about usage of the blockchain technology for lending industry. In the introduction of his speech, the co-founder of the company stressed the importance of entrusting lending business into the hands of professionals. This is the reason why Debitum Network introduced decentralization of the lending process by inviting third parties (risk assessment, insurance, and debt collection) to participate in lending. “Doing it all by ourselves is not a good decision as all of the things have their proprietary things and algorithms. For example, if we do business in some country, we partner with local risk assessors of the country who are doing a risk assessment for different cases on a daily basis”, stated Liberts. “The way business functions is that our own or partner brokers put a loan on our platform and investors can participate by investing in them and get a fair interest rate from their investment”, continued the visionary of the project. Liberts, then gave a quick overview of the platform, taking the viewers through specifics of each functionality and icon on the platform as well as stressing that an investor can get a more detailed view about the asset: who the broker is, what his score is, credit score, the loan itself, why it was given out and to what kind of business it is, when it started, the company description, under asset description, who the final payer of invoices is and etc. “In this way, you, as investor are in charge of your own decisions and if you are numbers person you can look at financial data of the company to get a better grasp of the financial situation of the company in question. You can go through the platform and cherry pick the assets that you like most and as diversification is the key, you may split your investments in each of assets, more or less equally”, elaborated Martins Liberts. “The fun part is that investing on our platform you earn interest from day one, right away”, concluded Liberts. Everyone interested could visit Debitum Network booth at the premises and try demo platform for themselves. 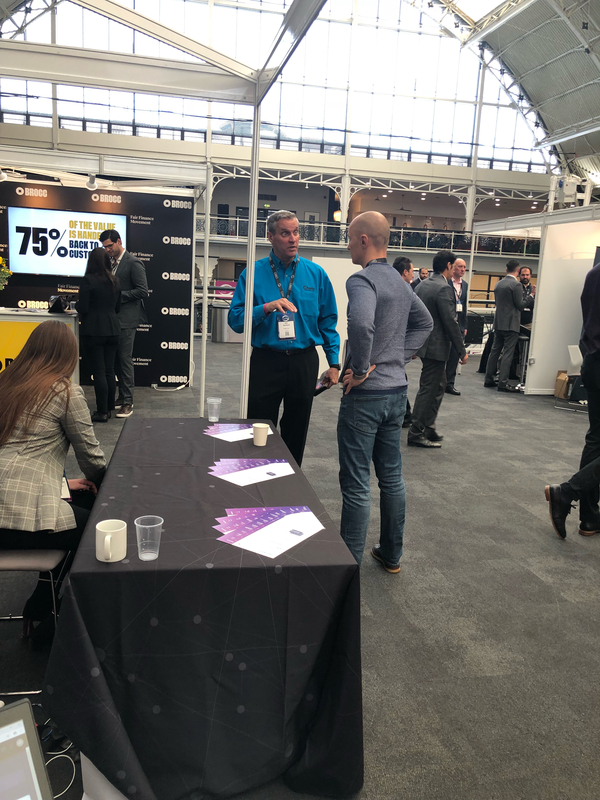 Debitum Network team members were there to answer all the questions about the platform and guide through the whole investment process. The attendees demo tested the platform, discussed future plans, and our team made a lot of new acquaintances. They shared their experiences with us and here are some of them. 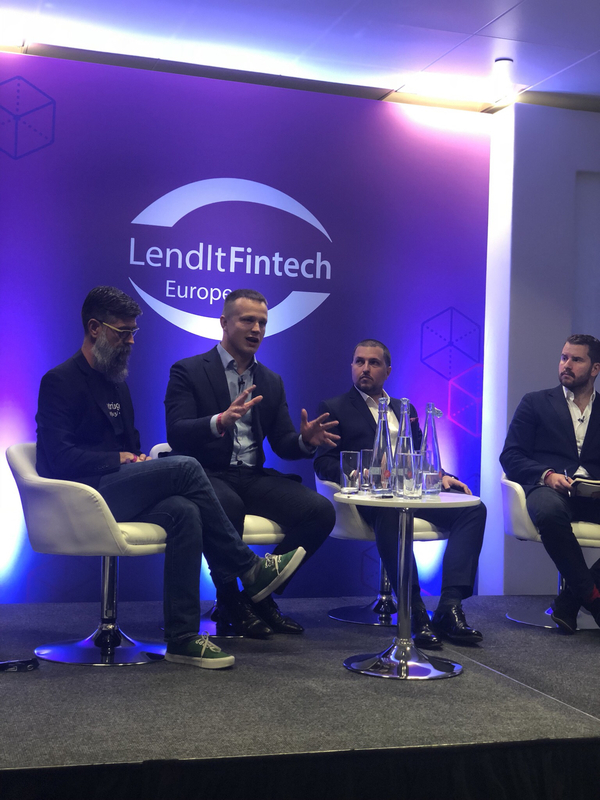 “LendIt itself was very interesting. All the participants engaged in the process and I had tons of individual meetings that could yield promising results. I spent most of the time communicating with attendees at our booth and at individual meetings. I participated in around 10-12 meetings, where I met with brokers, loan originators and potential service providers from all over Europe and even with one from Africa. 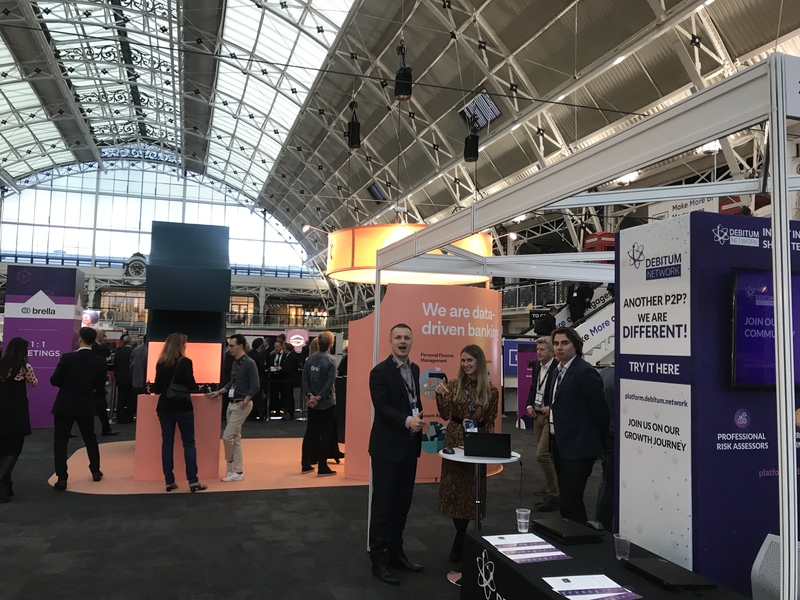 The interest in Debitum Network platform stretches beyond the LendIt event. Investors onboard and invest in short-term loans every week. You can also sign up on the platform at any time and participate by helping small businesses around the world grow. You will earn attractive interest at the same time. Furthermore, we have a new feature: buyback guarantee. This means, that if the borrower is late more than 90 days with the payments or defaults, the broker that issued the loan will buy the loan back. Thus, your investments always remain protected under the buyback guarantee.